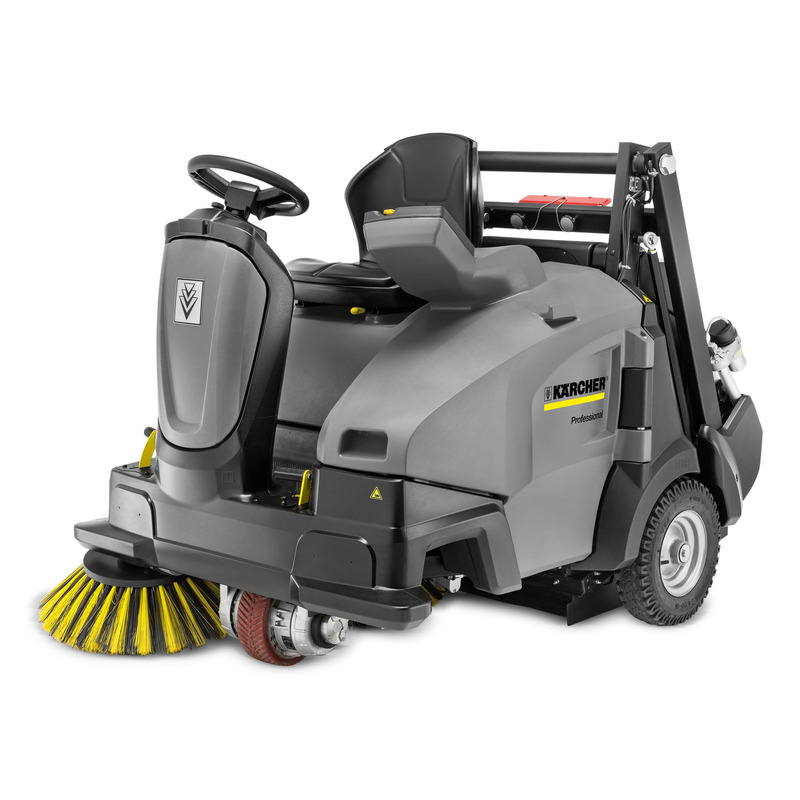 KM 105/110 R Bp Pack 1280140207 https://www.kaercher.com/tn/professional/sweepers-and-vacuum-sweepers/vacuum-sweepers-ride-on/km-105-110-r-bp-pack-1280140207.html Ride-on vacuum sweeper with Tact filter cleaning system, unique sweeping crescent side brush (optional), main sweeper roller is automatically adjusted to wear via Teach system and new sweeping concept. Ride-on vacuum sweeper with Tact filter cleaning system, unique sweeping crescent side brush (optional), main sweeper roller is automatically adjusted to wear via Teach system and new sweeping concept. Individually configurable vacuum sweeper with hydraulic container lift. Optional, patented sweeping crescent side brush enables corner cleaning in a single pass! Cleans in a single pass, unlike other machines which need 5 to 7 passes - and sweeping by hand is not necessary. Cleans in three passes without sweeping crescent side brush due to this new sweeping concept. The position of the main sweeper roller between the rear wheels allows driving over high kerbs without damage to the sweeping system. The Teach system automatically adjusts the main sweeper roller to wear and tear for consistently outstanding sweeping results. There are three contact pressures to choose from, depending on the terrain and type of dirt. A further feature is the patented, fully automatic Tact filter cleaning system for dust-free operation and the patented Kärcher Intelligent Key system, which, among other things, controls the assignment of different user rights. The multifunctional display provides clear menu guidance in 28 languages and displays information on, for example, roller brush wear or the selected roller brush contact pressure.